Jason Aldean, a hot name on the country music circuit, is touring the country on his Burn It Down Tour, a title that plays off his latest album’s sizzling single, “Burnin’ It Down.” With his fiery performances and electric stage presence, lighting the roof on fire is an easy task for Aldean. The single, off his sixth studio album, Old Boots, New Dirt, landed at the top of the country radio charts and went platinum after just nine weeks on the waves, the fastest selling single of 2014. Fans are also expecting to hear his latest single, “Just Gettin’ It Started,” along with fan favorites that include “She’s Country,” “Why,” “Don’t You Wanna Stay” featuring Kelly Clarkson, “Dirt Road Anthem,” Big Green Tractor,” “Amarillo Sky” and “My Kinda Party.” In 2012 and 2013, Aldean won American Country Music’s Male Vocalist of the Year award, and in 2014, the Recording Industry Association of America recognized him as the Top Male Country Artist in the history of RIAA’s Digital Gold & Platinum Awards. 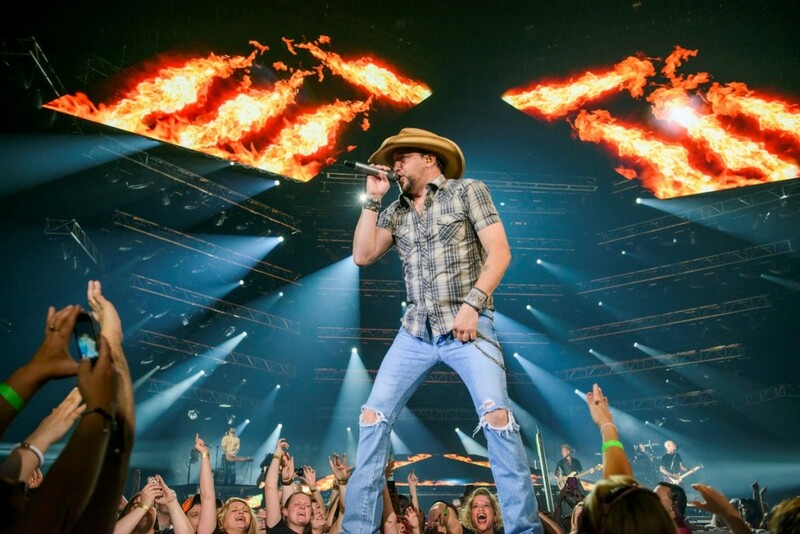 Aldean will definitely bring the heat to Tulsa on Friday, April 10. Hopefully the BOK Center will still be standing when he’s through. For more information, visit www.bokcenter.com.